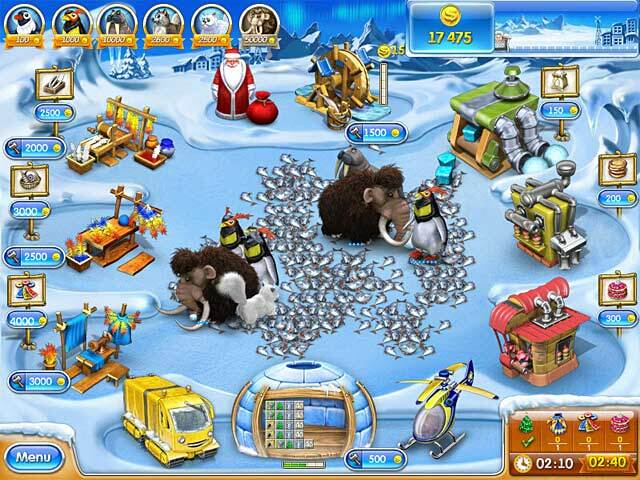 Farm Frenzy 3: Ice Age is rated 4.8 out of 5 by 9. Rated 5 out of 5 by Bumbles2 from A fun family game that won't let you go !!! What a great family game that captures you and ties you to your chair...its impossible to escape from LOL !!! Anyways...I bought the game and am not quite finished...but I needed to let you all know that this game is simply brilliant !!! My Grand-kids and I have had a whale of a time with it. The artistry is superb and you can't get any better than this...the music is ok too. I've found there is definitely some challenging areas and I'm about 80% done...but all is ok. My G-kids are much quicker with their fingers than I am and they are doing pretty good in the tough spots. Try the demo and you'll see what I'm talking about...you'll be as happy as me !!! Have fun all !!! Rated 5 out of 5 by greg28boi from Great Game This is one of my all time favorite Farm Frenzy games. I love that we get to dress up bears and the plot line makes more sense. Plus we get to help Santa! 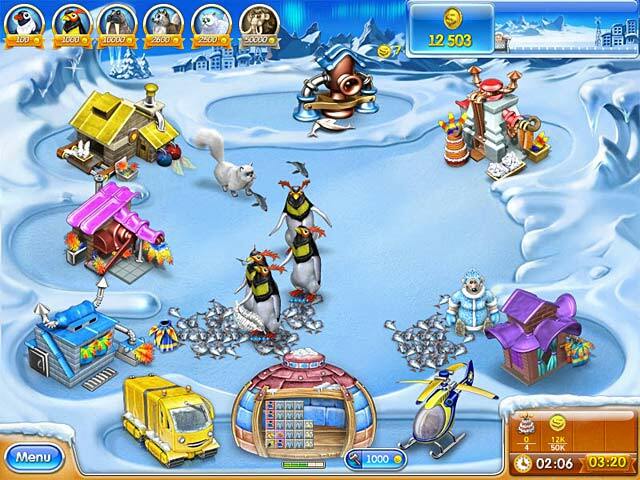 Rated 5 out of 5 by rosekaufmann from LOVE IT, LOVE IT I never get tired of the Farm Frenzy games. 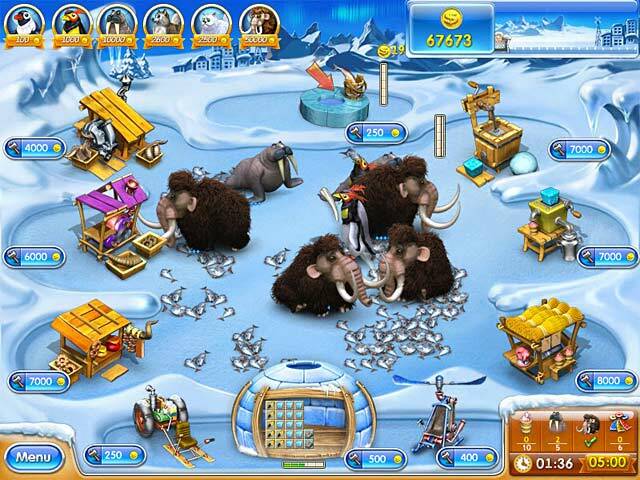 The variety of animals in each game varies, which keeps it interesting in a new way. Love capturing and dressing up the bears. Love building the Christmas trees. Love the endless game (though it is rather slow at first). Like that you can replay individual levels once you've finished all of them to try for gold. There are a few where it takes patience and knowledge - but I've gotten all gold several times now (but it doesn't mean I'll get them the first time on the next time I play). Graphics are very good and gleeful. Like how you can buy improvements for your buildings and transportation. Challenge to determine what's the most beneficial at the time. Great to play with the kids (though they'll find some levels very, very difficult). 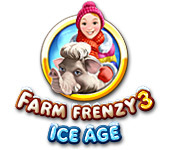 Rated 5 out of 5 by suzy54 from Farm Frenzy 3 Ice Age I really enjoy most of the Farm Frenzy games. Rated 5 out of 5 by 4ginny125 from farm frenzy 3 the farm frenzy games are really fun and great i love helping scarlet farm is is my 1 favrate so far. Rated 4 out of 5 by SuziTurner from Great Farm Frenzy Game If your a fan of Farm Frenzy you will love this one. Great new things to create and excellent new characters. And as with all the FF games you can play for weeks. Heaps of levels and lots of challenges. Rated 4 out of 5 by WhiteRaven from no instructions no ideal what to do with things. No help on quickest way to make points, money or anything. NEED POINTERS! !